These are the books I recommend you read when you want to get into the craft of making salami at home. 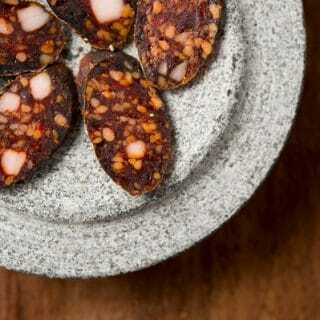 When you are ready, start with these simple salami recipes, which can also be done with regular domestic pork. Consider this the world’s greatest Slim Jim. 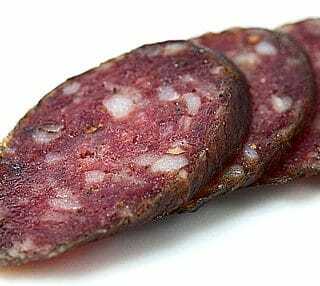 A narrow, smoked and slightly cured Polish meat stick that is awesome eaten on the go. 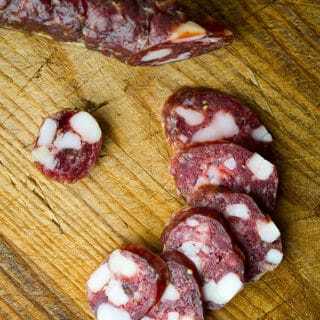 This is my master recipe for a very classic salami flavored only with salt, pepper and garlic. 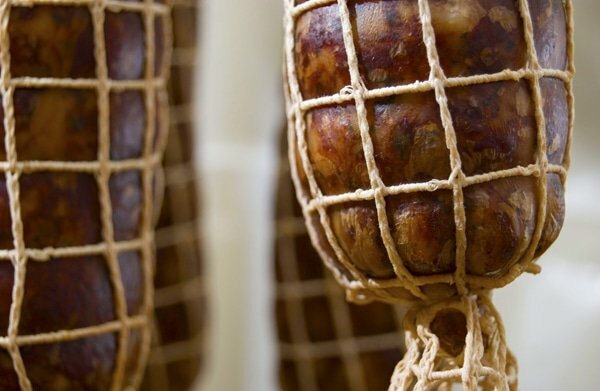 If you are ready to do a real salami, start with this recipe. A Hungarian salami made with lots of paprika and garlic. This is normally done with pork and beef, but I’ve used duck and venison and they both work fine. 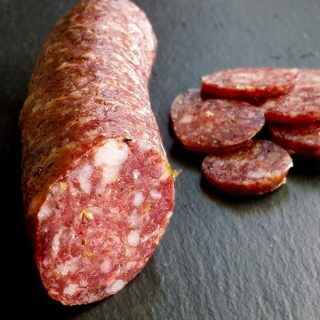 This is an Italian hunter’s style salami done in hog casings, which are narrower than the typical beef casings you see on most salami. That makes it easier to cure, and allows you to carry it with you when you are in the field. 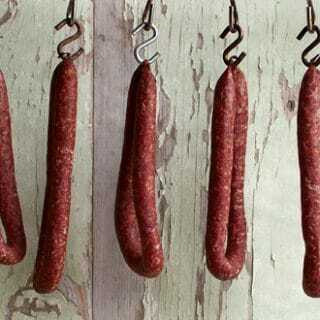 A German version of the same hunter’s sausage, this one is smoked and dried. I make it with venison, but pork and beef will work, too. I make these to take hunting or fishing a lot. 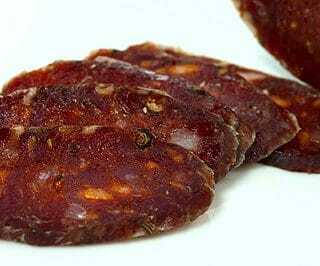 This is a more traditional salami made in a beef casing. It is made with all California ingredients, down to the wild boar I shot to make it. But don’t let that deter you: Some version of all the ingredients is readily available wherever you live. 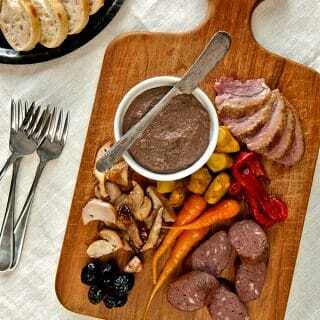 Explore the whole world of cured and smoked meats, plus fresh sausages, here on Hunter Angler Gardener Cook! Good day hank. How do I become part of this forum? I’d like to get more of your recipes. 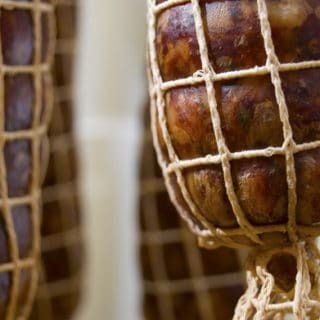 I want to start making salami and and as well. But still working on my smoker and smoke box. Can’t get my smoker as is at the moment down under 33 degree Celsius (don’t know the Ferrante for that) now I’m building myself a smoke box to keep my coals and smoking part separately from my smoke drums. 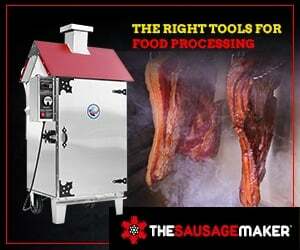 William – the ammonia smell/taste will not impact the flavor of the meat. I’ve cured for numerous years and have a dedicated curing room in my basement. Ambient humidity dependent I keep the door cracked at time and others it remains closed for several days. During the latter, with less airflow and lots of meat I get the ammonia smell but it has never impacted the meat flavor at all. Apologies for the second post – William, if the salami had an off taste/smell I can only surmise that’s from something very different than the ammonia smell produced by the mold. In that process there is no impact to flavor. There are numerous articles out online that explain why it happens and also reaffirm no off taste/smell. Hi Hank. Thank you for the recipes and info you post. My question is, can I use Morton Tender Quick for the cure as I do for Sausage, and if so, in the same amounts as prague #2? Thank you for your time! Eric: No. Sorry. They are totally different products.